It’s hard to overstate how excited we are to drive the 2020 Jeep Gladiator. It is, after all, the Wrangler-based pickup truck we’ve been asking for for years. Even better, we’ve also heard it may even be offered in Hemi-powered Raptor-fighter form. But before the Gladiator goes on sale later this year, Jeep has decided to showcase its awesomeness by entering it in King of the Hammers. For the unfamiliar, King of the Hammers is an off-road race that takes place in the Mojave desert every February. Unlike some other races, though, it combines desert racing with some serious rock crawling. The Gladiator will compete in the Every Man Challenge’s stock class. 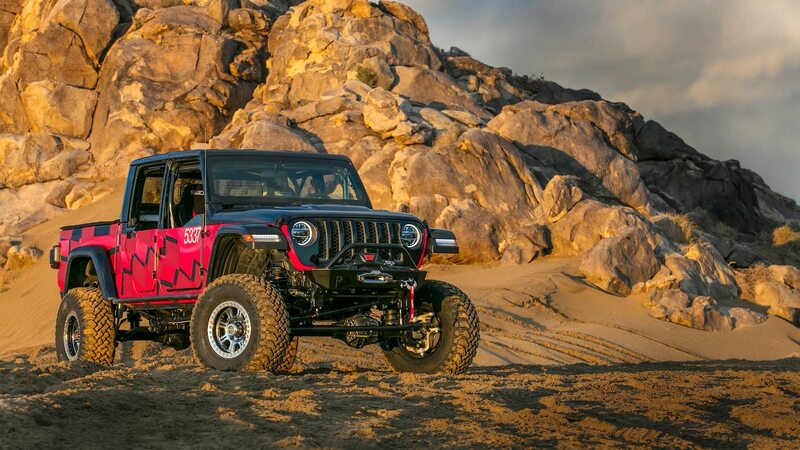 Racers Robby Gordon and Erik Miller will drive a Gladiator prepped by Savvy Off-Road, a shop that’s won the Every Man Challenge five times in a row. Gordon will handle the high-speed desert-racing sections, with Miller taking over for the rock-crawling portions. From the sound of it, they’re already favorites to win their class, too. In qualifying, they were the fastest by more than 10 seconds. That said, don’t think the Gladiator will be competing in the stock class completely stock. The engine, frame, and body aren’t allowed to be modified, but the rear seats have been removed, racing seats have been added, and a winch and roll cage have been installed. 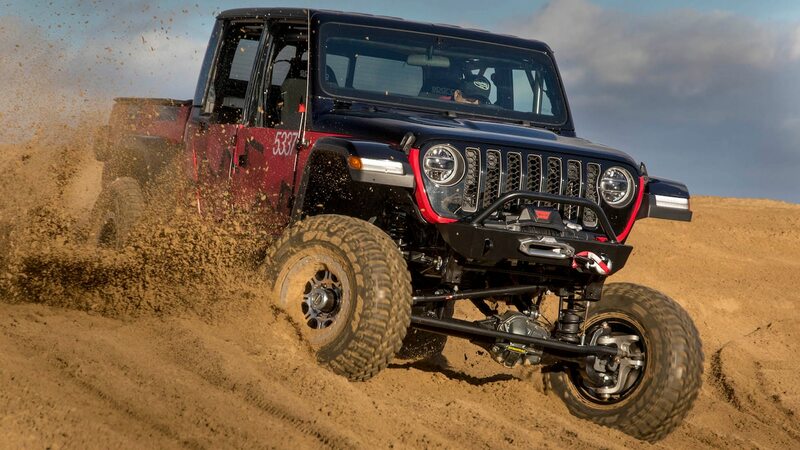 Savvy Off-Road created a custom suspension for the Gladiator to use during the race, along with Dynatrac 60 front and rear axles and beadlock wheels wrapped in 35-inch tires. King of the Hammers’ Every Man Challenge kicks off February 6 at 8:00 a.m. PST.